With the growing fragmentation of western societies and disillusionment with the political process, the question of legitimacy has become one of the key issues of contemporary politics and is examined in this volume in depth for the first time. Drawing on ethnographic material from the U.S., Europe, India, Japan, and Africa, anthropologists and legal scholars investigate the morally diversified definitions of legitimacy that co-exist in any one society. 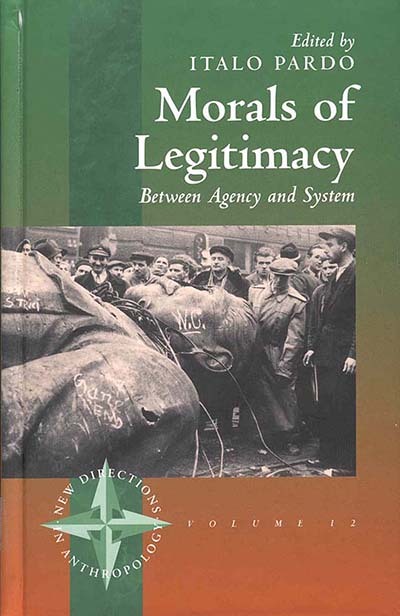 Aware of the tensions between state morality and community morality, they offer reflections on the relationship between agency - individual and collective - and the legal and political systems. In a situation in which politics has only too often degenerated into vacuous rhetoric, this volume demonstrates how critical the relationship between trust and legitimacy is for the authoritative exercise of power in democratic societies. Italo Pardo is Honorary Research Fellow at the University of Kent. Chapter 8. A Quiet Life: Right or Duty?